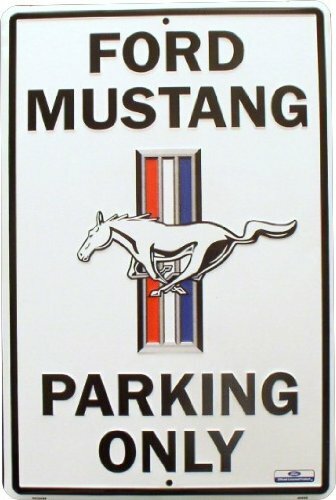 Ford Mustang Metal Parking Sign. Embossed metal parking sign with two holes for easy mounting. Baked on finished. Individually shrink wrapped.